And when he does his little rounds round the boutiques of London town. Although my mother and I have our differences (namely about the definition of "late"), there are some things we have in common. 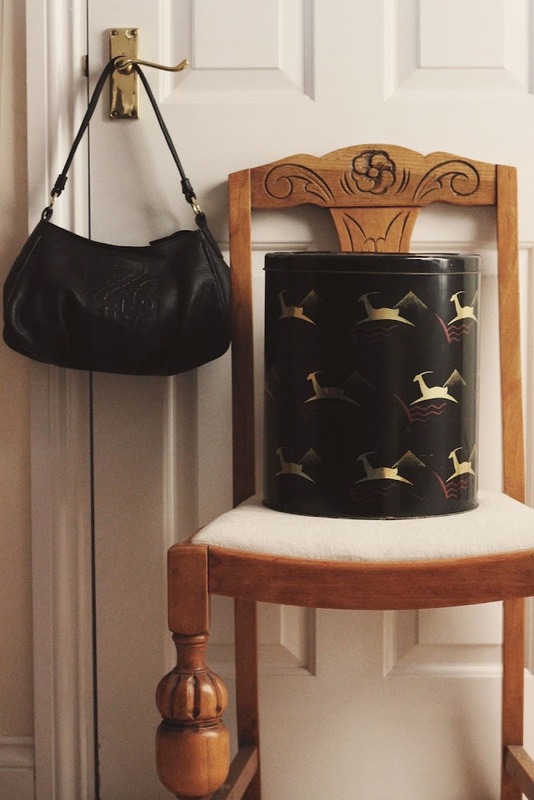 Okay, the photos are very clearly of a handbag (from this post) and a bread bin, which don't often bear similarities, but they're both designed under the name of Biba. Today you can buy Biba from House of Fraser, but in my mum's day it was Kensington Church Street which housed the clothing brand. When Biba was first around it was a bit different to today. To buy clothes that your mum wouldn't be seen dead in (soz ma, my skirt is that short), you had to get the train to High Street Kensington. You could walk down to Kensington market to get your Marc Bolan tees, but if you continued a bit further and turned right onto Church Street you'd find Bus Stop and Biba. Bus Stop, I am reliably informed, was filled with amazing tea dresses and floral blouses, but was ruled over by fearsome shop assistants who stood on chairs by the till to catch out shoplifters in the packed space. Further down the road, Biba was a kind of haven. It was a different world, where every item of clothing you could possibly want to own was to be found hung up in the corner, and you could go out on Saturday and never see anyone else in the same thing. From a boutique the size of a kitchen, it expanded into the empty Derry and Toms department store, and sold everything from ball gowns to, um, loo roll. I used to sneak into Waterstones and read the Biba book for the photos of the amazing art deco restaurant, because it sadly no longer exists as it expanded way too quickly for it to survive. My mum's favourite piece was a red satin jacket which she has since, unfortunately for me, donated to a charity shop, but you can always see original bits pop up on ebay all the time. Although I could talk about Biba for hours on end (trust me, this is a very condensed version of the draft in my head), I'll just let you know about A Party With Biba being hosted at House of Fraser stores this Thursday 12th. 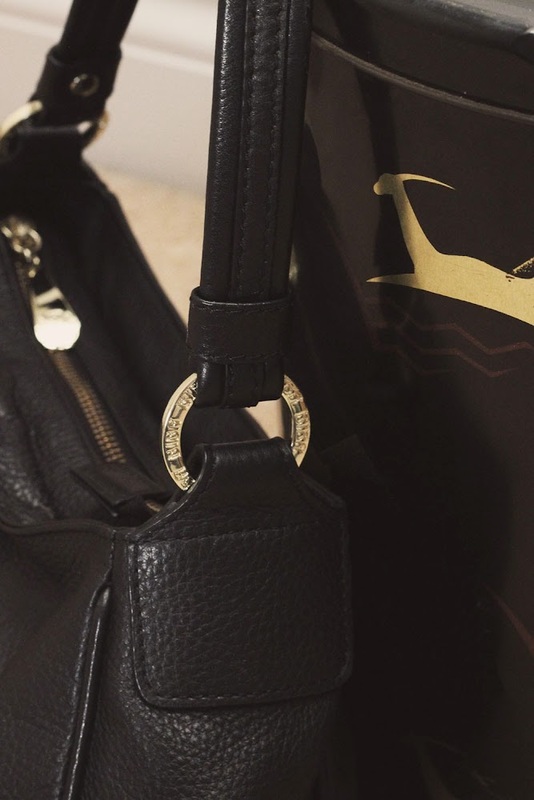 There'll be a champagne reception in their Oxford Street store to showcase the new collection and there'll be a tote bag thrown in for purchases over £75. I've got my eye on this perfect Chung coat, but it's hardly like I need any more excuses to look like I've walked out of the 'sixties. This post was written in collaboration with House of Fraser, but I do love Biba, that is an original, and I'm still crying over the loss of that jacket.